"The golden art of enchanting the soul"
At the heart of all that I do with language lies my study of rhetoric: the art of persuasion. Rhetoric is the study of how language works on the mind. Within its compass comes poetry, philosophy and psychology - it is the perfect study for any barrister, writer, or performer. Utterance - how to speak so that people will listen and understand. Rhetoric is not, as some think, confined to oratory - to public speaking. It applies wherever language is deployed whether in writing or in speaking, whether in the law courts or in conversation. I cannot recommend its study enough: it is fascinating, it is entertaining, and it has been the making of me. I have been involved in rhetoric for over 20 years. As a student debater, (you can picture how cool I was in my youth), I represented Cambridge University and then the Middle Temple at numerous debating competitions including the World Universities Debating Championships in 1996, 1997, 1999 and 2000. I won, “Best Individual Speaker” at both the Cambridge and Oxford inter-varsity debating competitions. I have twice been the World Public Speaking Champion (Cork, Ireland in 1996 and Sydney, Australia in 2000) and came second once (Stellenbosch, South Africa in 1997). Rhetoric has also helped me become an accomplished performer. My award-winning one-man show The Brandreth Papers received five star reviews, was a Scotsman “Hot Show” and sold out at the Edinburgh Festival Fringe with reviews saying I was 'One of our nation's most accomplished raconteurs' and 'captivating… Brandreth holds the audience's complete attention.' In fact I'll in Edinburgh again in August 2018 with my new one-man show A Hero For Our Time. Do come and see it! My experience in rhetoric and advocacy training is extensive. I have coached executives in public speaking, and given lectures and workshops to various institutions from the Royal Shakespeare Company (RSC), the Donmar Warehouse through to the School of Life in London and the US Naval Academy in Annapolis, Maryland. If you would like to have me come and teach you what I know about rhetoric do get in touch. 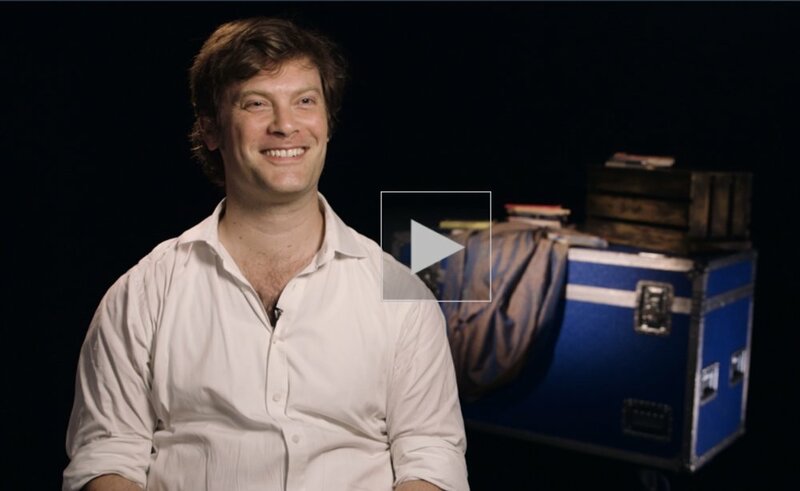 Here's a short taster video from Digital Theatre+ of me talking about rhetoric. I am available to give public workshops and private coaching on rhetoric in the UK and the USA. I will tailor my knowledge and extensive experience of advocacy and rhetoric training to fit your needs. "He can turn a tribunal through both charisma and formidable intellectual persuasion." "Benet's rhetoric workshops exploring the foundation and fundamental principles of argument and persuasion have excited and inspired our actors." "To the best of my knowledge, there is no one else with Benet's superb credentials and up-to-date experience working in the field. His unique and accessible approach makes the history and the practical art of rhetoric available to the classically trained actor and total newcomer."